"Some call it a sickness. To swap warm beds for nights on cold granite, high above the clouds where the air is thin. A willing choice, a desire even, to leave comfort behind and instead carry your home on your back through the high places of this world. What else could account for all this, if not some tragic disease of the mind?" I couldn't have said it any better, Chris. After trying to retire from mountain climbing a number of times, I have failed every time. There's no question it's a mental illness…..and for me, perhaps terminal. Mt. 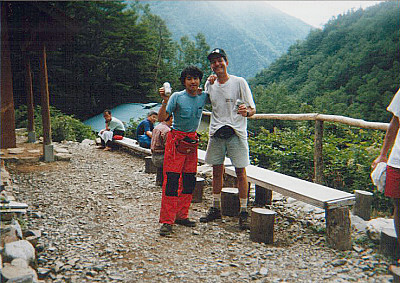 Hijiri-dake (聖岳) was a very nice, yet rigorous, climb with Naoki, my favorite mountain climbing buddy. Naoki is also a former civil engineer, and used to be my English student at a large Japanese construction company. So far, in addition to Mt. 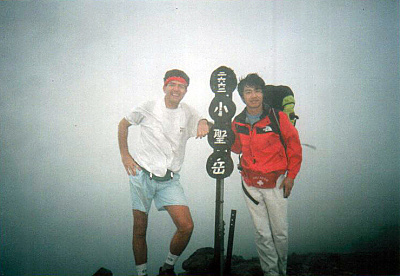 Hijiri-dake (聖岳), Naoki and I have together scaled Mt. Kiso-koma-ga-dake (木曽駒ヶ岳) & Mt. Utsugi-dake (空木岳), Japan's 25th & 42nd highest peaks, and made 2 attempts at Mt. 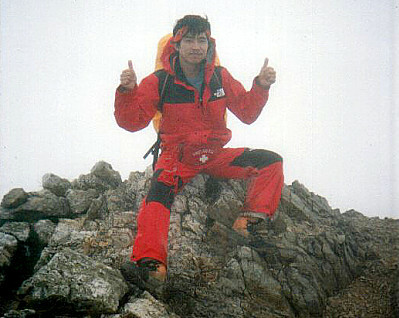 Kashimayari-ga-dake (鹿島槍ヶ岳), the 2nd time successfully. Mt. Hijiri-dake (聖岳), elev. 3013m, is not only Japan’s 21st highest peak, but is also one of the 100 Famous Japanese Mountains (日本百名山, Nihon Hyaku-meizan). It is also the southernmost of the "Three-thousanders" (>3000m high peaks) in the Southern (Minami) Japan Alps (南アルプス). Naoki and I started off by catching a bus before 6 am from JR Shizuoka Station (JR静岡駅) to the Hatanagi Daiichi (No. 1) Dam (畑薙第一ダム). From there we transferred to a microbus that took us to the Tepposeki Bridge (てっぽうせき橋), the trailhead and starting point for our hike, also called the Hijiri-dake tozanguchi (聖岳登山口). We hit the trail just before 10 am, had lunch shortly after noon, and arrived at our sleeping spot, the Hijiri-daira-goya mountain hut (聖平小屋), just after 4 pm. 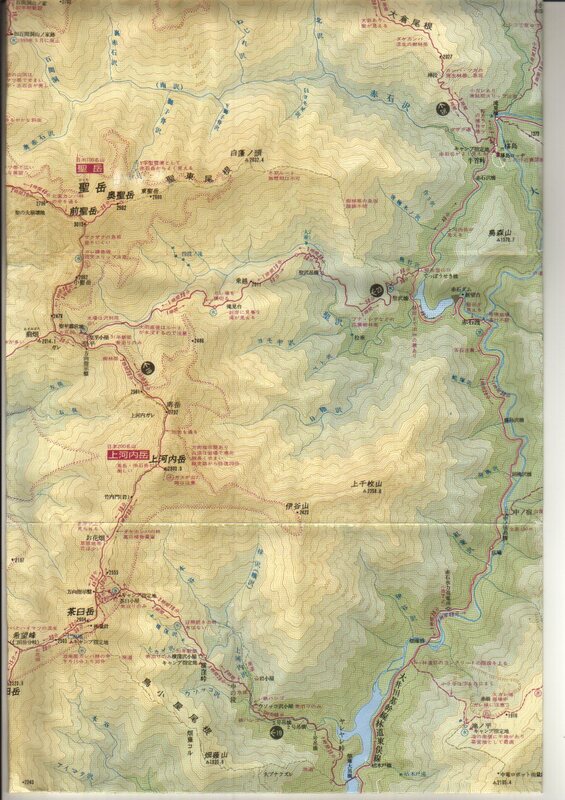 My 1995 Yama-to-kogen (山と高原地図) hiking map for Mt. Hijiri-dake (聖岳) (shown below) estimates this climb up to the hut to require 5 hours 40 min. of hiking time, so for us, this was fairly accurate. You'll gain over 1100 m along this section of trail, and will cross the Hijirizawa mountain stream (聖沢) at the Hijirizawatsuribashi suspension bridge (聖沢吊橋). You'll also pass a scenic overlook named Takimidai (滝 見台), with a very nice view of a beautiful waterfall across the valley. There are a couple pics of us taking a breather there in the photo album below. 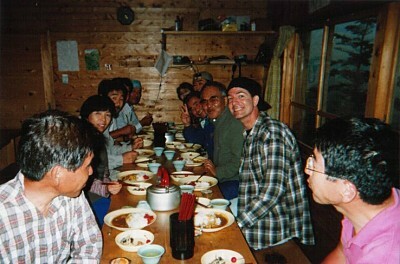 We were pleased with the accommodations at the Hijiri-daira-goya mountain hut (聖平小屋) where they served a very tasty curry rice dinner, and we made a number of friends with the other fellow hikers. Although curry rice is a popular dish at the mountain huts, good progress has been made in their menus thru the years. Without question the best Japan Alps meal I've ever had was a dinner in 2006 at the Chojo Shukusha mountain hut just below the summit of Mt. Shirouma-dake (白馬岳), Japan's 26th highest peak, where they even served us buffet style. Here's a pic of the yum-yum Japanese cuisine we received at elev. 2730m. On the second day of hiking, we left the Hijiri-daira-goya mountain hut (聖平小屋) at 5 am, hiked along the ridge past Mt. Kohijiri-dake (小聖岳), and were standing atop Mt. Hijiri-dake (聖岳), Japan's 21st highest peak, by 7:30. The higher of the twin Hijiri peaks here is actually known as Mae-hijiri-dake (前聖岳), elev. 3013m. Too bad it was so foggy at the time (Japanese refer to this as "gas"), as I've heard the views from the summit are stunning. Oh well, next time. Because the weather wasn't so delightful, we didn't waste a lot of time hanging around the summit, other than to snap a few pics, and then retraced our steps back to Hijiri-daira-goya (聖平小屋). From there we hiked along the ridge to Minami-dake (南岳), elev. 2702m, and then on to Mt. Kamikochi (上河内岳), elev. 2803m, which is one of the 200 Famous Japanese Mountains (日本二百名山, Nihon Nihyaku-meizan). We had a nice relaxing lunch just before 1 pm at the Chausu-goya mountain hut, then arrived at our sleeping spot for the second night at the Yokokubosawa-goya mountain hut (横窪沢小屋) at 3:45 pm. And man oh man, I can't tell you how grrrrrreat that can of beer tasted after a 10-hr hiking day, even if it DID cost ¥400. There were nice, roomy accommodations there, considering it was during the Obon holidays, and in spite of the very vocal snoring chorus during the night. Our last day in the Minami Alps (南アルプス) was a piece of cake, as it only took us 3 hours to get down to the Hatanagi Otsurihashi suspension footbridge (畑薙大吊橋) & trailhead, passing the Usokkozawa-goya mountain hut (ウソッコ沢小屋) along the way. 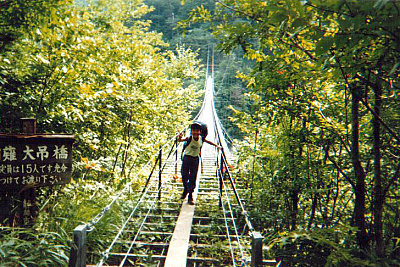 The trail crosses the Kamikochizawa mountain stream (上河内沢) a number of times, including via the No. 1, No. 2, and No. 3 suspension bridges. I must say the 182-m-long Hatanagi Otsurihashi bridge (畑薙大吊橋) is a remarkable piece of Japanese engineering work, with breathtaking views both up & down the Oikawa River (大井川) which it crosses. The wooden plank walkway is only 20-cm wide, has a 15-person load limit, and if the wind blows while you cross it, will give you an adrenaline rush comparable to an amusement park ride. Yee hah! From Hatanagi Otsurihashi (畑薙大吊橋), it took us a little over an hour to hike along the road down to the Hatanagi Daiichi (No. 1) Dam (畑薙第一ダム). The views of Lake Hatanagiko (畑薙湖) in this area were quite impressive. After downing a cold beer at the dam, we caught a 3 1/2 hour bus ride back to JR Shizuoka Station (JR静岡駅). 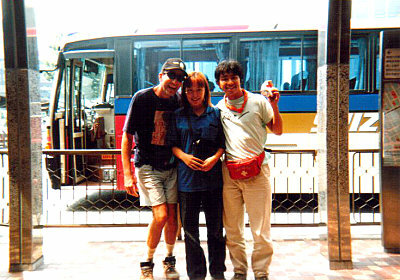 This was more than enough time for Naoki to fall in love with the cute bus tour guide girl. After a quick lunch, we hopped on the Shinkansen bullet train just before 2 pm, arriving back in Tokyo at 5:30. The southern section of the Southern Japan Alps, of which Mt. Hijiri-dake (聖岳) is a part, has a special, unique charm of its own. 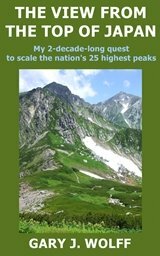 "Compared to other peaks belonging to the Minami Alps, Mt. Kita-dake, Mt. Kaikomagatake, and Mt. Senjogatake in the northern part of the Minami Alps are marked by relatively short approaches, equipped with better mountain lodge facilities, and visited by more climbers." "(On the other hand,) Mt. Hijiri-dake, Mt. Akaishi-dake, Mt. Arakawa-dake, and other peaks in the southern part of the Minami Alps are marked by longer approaches and lack mountain lodge facilities that provide bedding and meals. 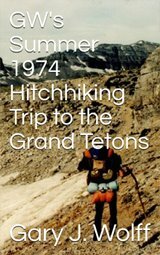 Accordingly, climbers require greater physical strength and mountaineering gear to tackle these mountains." Well, personally, I’ve never had to use any "gear" in the Japan Alps, and have never had trouble finding mountain huts, but the relatively inaccessible nature of the "Southern" Southern Japan Alps is sometimes a bit of a challenge with bus service in a constant state of change from year to year, and roads which are constantly being washed out. And riding in a microbus along some of those mountain road hairpin curves, that are oftentimes only 1 lane wide, can definitely be a hair-raising experience. "Forestry tracks and roads are being pushed further into these remote mountains, but the kami (gods) often hit back with landslides and floods to destroy men's efforts. 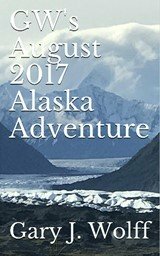 It is my wish that these mountains stay remote, and that the dedicated hikers and climbers to the peaks carry with them a healthy respect for the kami working in these mountains." The thumbnail images below are a sampling of my pics hosted by Flickr. Clicking the collage opens up my Mt. Hijiri-dake (聖岳) photo page at Flickr, or you can view them sequentially in the slideshow player below. I hope they give you a sense of the exciting, "back-to-nature" experience of what it was like to actually be there. Enjoy ! Mt. 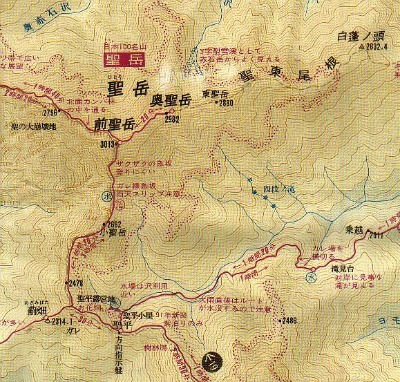 Hijiri-dake route map. You can order the 2014 version here. In 2011, from 7/16 to 8/31, there were 2 buses per day departing JR Shizuoka Station (JR静岡駅) @ 9:50 & 13:15, and 3 buses per day departing Hatanagi Daiichi Dam (畑薙第一ダム) @ 14:25, 15:30, & 17:50. Travel time: 3 hrs. 25 min. 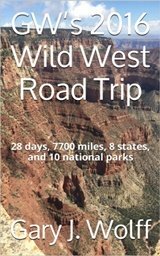 In 2011, from 7/16 to 8/31, there were 5 minibuses per day in each direction, and 3 minibuses per day at other times between 4/29 and the end of the season in the fall. Note: I've found Google Translate to be a good resource for translating Japanese webpages into English (and vice versa). In summary, climbing Mt. 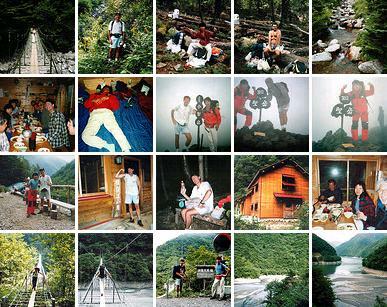 Hijiri-dake (聖岳) was a rigorous, yet truly rewarding hiking trip. While you're in the area, if you've got time, you might as well go ahead & knock out the nearby Mt. Warusawa-dake (悪沢岳)and Mt. Akaishi-dake (赤石岳), Japan's 6th & 7th highest mountains, only ~5 km away. Why on God's green earth I chose to climb them all on separate trips is beyond this aging brain's best recollection. Please stop by again soon, as I hope to update this page in the future on climbing Mt. Hijiri-dake (聖岳) with more details, including a record of my hiking schedule & trip expenses. 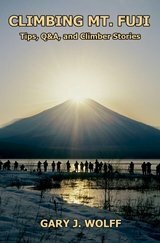 In the meantime, I hope you have a few extra minutes to check out some of my other pages on the highest mountains in Japan, as well as the rest of my website. Thanks so much for visiting, and if you have any questions for me, by all means please give me a shout by using the comment section below or by clicking on the "Contact Me" link. 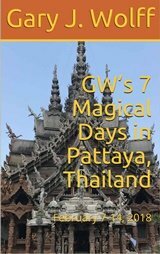 And I'm sure my readers would love to hear your personal story if you've already climbed Mt. Hijiri-dake (聖岳). But if this peak is still on your list, I hope you found this page helpful & I wish you my most heartfelt good luck. GO FOR IT ! !